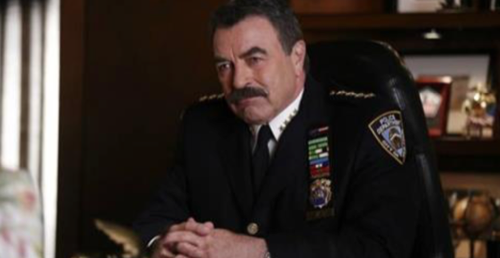 Tonight on CBS their hit drama starring Tom Selleck Blue Bloods airs with an all-new Friday, September 23, 2016, episode and we have your Blue Bloods recap below. On tonight’s Blue Blood Season 7 premiere, evidence against Danny (Donnie Wahlberg) surfaces when the attorney general’s office reviews his shooting of a serial killer. Did you watch last season’s Blue Blood finale where public outrage erupted when a cop isn’t indicted for shooting a teenager? If you missed it we have a full and detailed Blue Blood recap, right here! Thomas Wilder was a serial killer and he had forced Danny to shoot him on last season of “Blue Bloods,” however recently Wilder’s family has claimed that they have evidence against Danny that proves Danny murdered Wilder. So, the Attorney General’s office had no other choice but to investigate these serious allegations. Not that surprisingly, Erin’s boss had made sure that she didn’t find out about this new piece of evidence until he had brought in outside help. And unfortunately it had been Erin’s old college friend, Robert Lewis, that had been brought to investigate her brother. Erin knew Robert. She knew him back in college and she has heard about his work over the years so she knew without a doubt that he was going to take the Wilder family’s claims seriously. But Erin had tried to use their past relationship to get as much information she could from Robert. Robert had said that he couldn’t divulge sensitive information to anyone, much less her, and therefore he wasn’t going to tell her a thing. Erin tried to accept that and later her brother had tried to accept it as well, although they both knew enough about Danny’s situation to be worried. Yet, Danny and Erin eventually got into a fight about Danny’s behavior when Robert finally got the chance to interview him. Robert apparently had a recording from the last phone conversation between Wilder and Danny. Robert’s recording was of Danny telling Wilder that he was going to find him and kill him. He did say though Danny had been provoked at the time and he had been provoked again when Robert began grilling him as if he was a perp. And so Danny snapped when he told Robert that he didn’t regret killing Wilder because he would do it again if he had the chance, but that had made Danny look bad and Erin had gotten upset with him for losing his cool. Danny though hadn’t been worried. Danny said he killed a dirtbag and that the Attorney General couldn’t hold that against him. So Danny hadn’t even bothered trying to defend himself when he had the chance and that lead to the Attorney General’s office pulling together a grand jury just to see if they could charge Danny with an actual crime. However, Danny wasn’t worried about that either and neither was his father. Frank had had the opportunity to put him on modified leave because he was being investigated and he actually put Danny on semi-modified duty instead. So Frank was catching a lot of flak for that from his advisors. They told him that it wouldn’t look good if the press got wind he had only slightly disciplined his son and they also mentioned that he could be accused of nepotism. Although Frank had a return quip for that. Frank said that if anyone asks he had been siding with one of his detectives because Danny had already been cleared by one investigation before this last one and that what the Attorney General was doing was double jeopardy. And so in his own way, Frank told his men that he was going to defend his son against these ridiculous charges. Frank, though, might have been a little emotional after the conversation he had with a widow. Recently, Frank’s old friends and the son of a dearly departed cop went to the police academy and it turns out he was doing good there. The cadet showed potential and proved himself to be a leader all throughout training. But the cadet’s mother didn’t want her son to follow the path her husband did. Her husband died on the job and she was so terrified that she would lose her son too that she asked Frank to ensure that her son failed at the academy. The poor woman hadn’t cared what Frank had to do, but she didn’t want her son to become a cop and that had made Frank wondered about what he would do if he only had Jamie left. So he tried talking to his father about this dilemma and, like usual, they got into an argument about what to do with Louis Edwards. His father said that it wasn’t Frank’s or even Louis’s mother choice about what Louis chose to do with his life, it was just Louis’s choice. Yet, Frank had still been concerned by what Louis’s mother had told him and so he had tried talking to Louis about whether he truly wanted to be a cop to begin with. Frank had thought that Louis might have joined the academy because his father was a cop and he wanted to honor the man’s memory. However, he couldn’t have been further from the truth. Louis said that he wanted to join the academy because that has been the one thing he’s ever been sure of and Frank had actually helped him make that decision. Frank had sort of acted as a surrogate father to Louis and so he had helped inspire Lewis to be a cop. So when Frank heard that, he just couldn’t kick Louis out of the academy because of one mother’s fears though later the woman in question told had him to go to hell. The mother had been upset with Frank and had blamed for what she sees as her only child’s eventual death. So she told him to go to hell because she thinks her son is too young to make those type of choices and she hated Frank for respecting the badge more than he did her. However, Frank felt he made the right choice and he hadn’t wavered with either that or with supporting Danny. Danny had gone in front of the grand jury and he had explained how things were from his point of his view. And so he told them about the day he shot Wilder. Danny walked the grand jury through how he found Wilder. It had been just the two of them out in the field and it had been completely quiet. But Wilder had moved when Danny told him not to and he had put his hands behind his back. Then, Wilder said that he might have a gun. Danny didn’t know if Wilder was playing with him or had simply wanted to scare him, yet he took the other man seriously. And when Wilder purposely jerked his hands forward, he knew that Danny was going to kill him if he did that and he had wanted that to happen. So while going up against the Attorney General won’t win him any favors from then in the future, Danny managed to paint quite a picture for the grand jury that showed that he had been forced to make a quick second reaction. Now, was the reaction the correct one? Possibly. Though it had been the only choice that Danny could have made at the time. And sure he has plenty of disciplinarians from Internal Affairs yet he made it clear that this thing with Wilder hadn’t been like that. He had faced a monster and he had stopped him from hurting anyone else. Which was what Danny did everyday. Danny had worked a case with Baez while on semi-modified duty and he had stopped a young man from getting killed by the mob simply because the kid saw something he shouldn’t have. Danny confessed that he does take each case personally; however, he didn’t think there was a downside to that because that meant he cared about the victim. But it was a Reagan trait to be stubborn and Jamie ended up getting into some trouble of his own. Jamie and Jenko had answered a call one day about a car crash and they arrived on the scene to find two people badly injured while the driver of the car had clearly been drunk. So Jamie and his partner had wanted to arrest Russ Anderson. Yet, Russ tried to use his connections as a congressman to get out of the fact he had drunkenly hit a mother and her daughter so the cops had been forced to find their own proof about what happened that day. And then they arrested the congressman at a fundraiser. The congressman subsequently swore that both officers would regret arresting him, but Jamie and Jenko had told him that they weren’t worried. Blurb: Danny faced an indictment on tonight’s episode of “Blue Bloods” when a message from the grave almost framed him for murder.